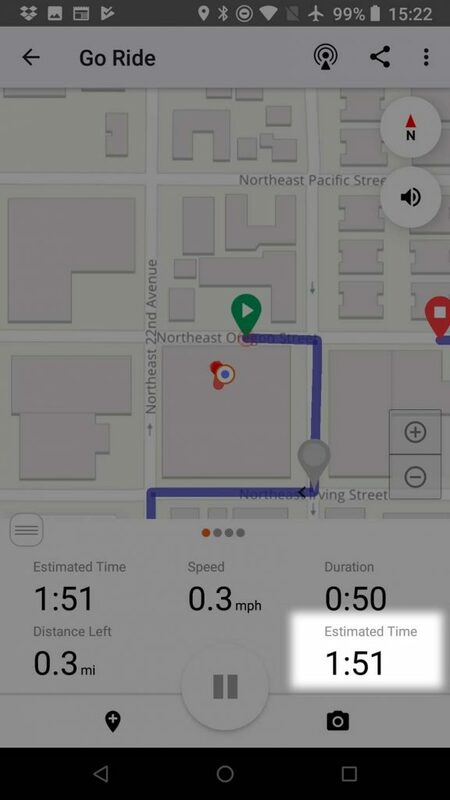 The Estimated Time feature is a metric for Premium and Basic subscribers that will give you an estimated moving time for all of your routes. The metric is a personal number based off your recent ride history of rides exceeding 10 miles (16km) that represents the estimated moving time for the route. As you plan a new route, or edit an existing one, the number will continually update based of the route you are currently planning. Estimated Time also applies to any existing routes. You will need to upload at least 1 ride exceeding 10 miles (16km) for Estimated Time to start showing up on routes. You’ll see your Estimated Time as you plan a new route or while editing an existing route. 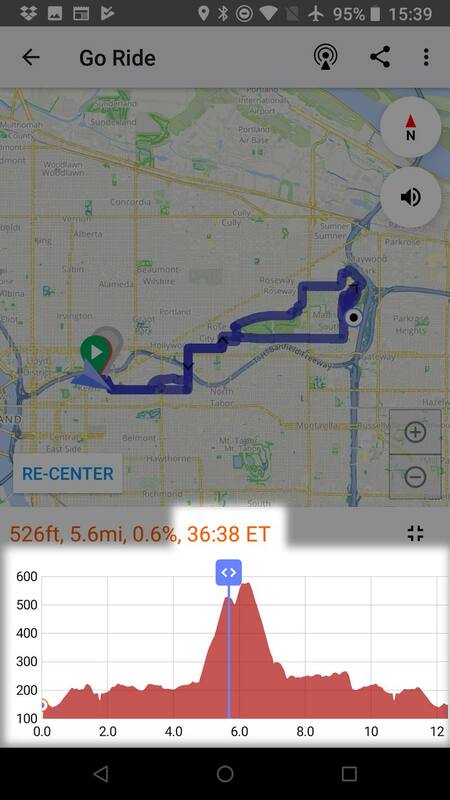 Every time you adjust your route, the Estimated Time will change accordingly. How fast can I do their route? 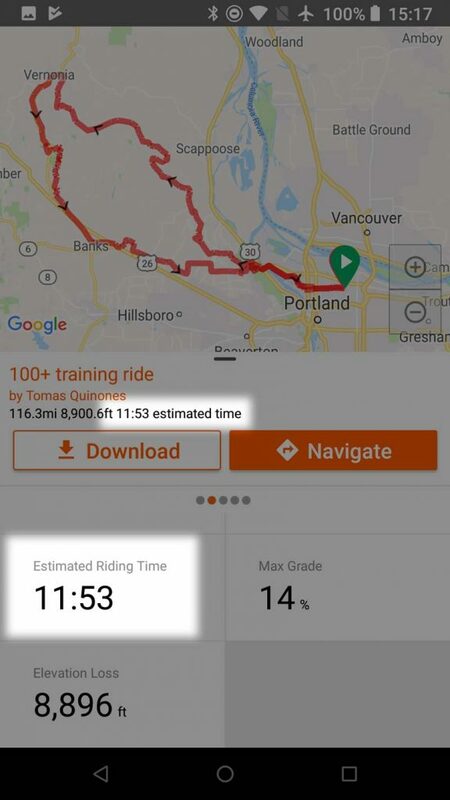 When viewing another member’s route, the Estimated Time metric will be based on your ride history. You’ll also find Estimated Time in the left panel while viewing any route. You’ll see Estimated Time show up in the short description for any route and in the expanded metrics area. 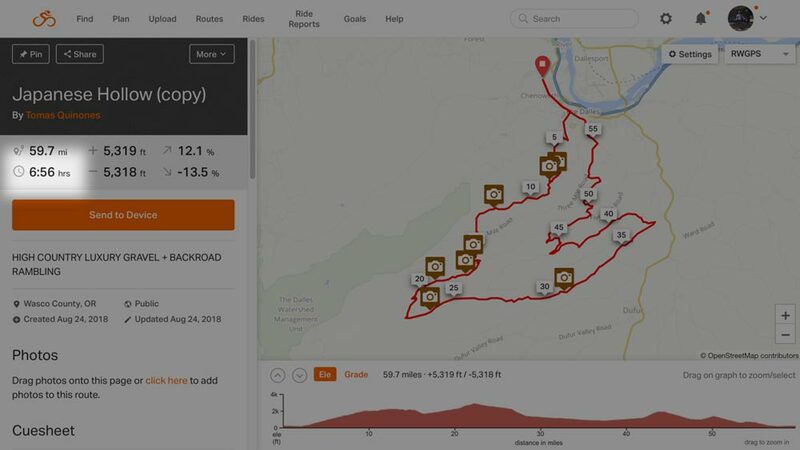 Start navigation on a route then you’ll have Estimated Time as an available ride metric that updates as you ride the route based on your riding speed of the route. 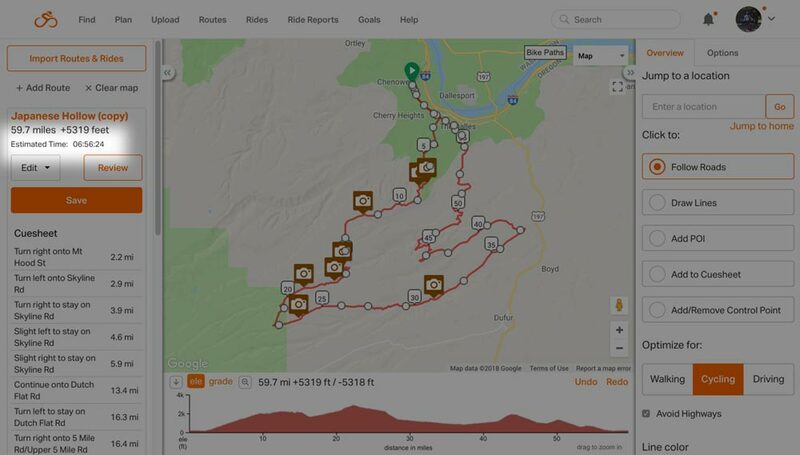 Learn more about interacting with the elevation profile on mobile.